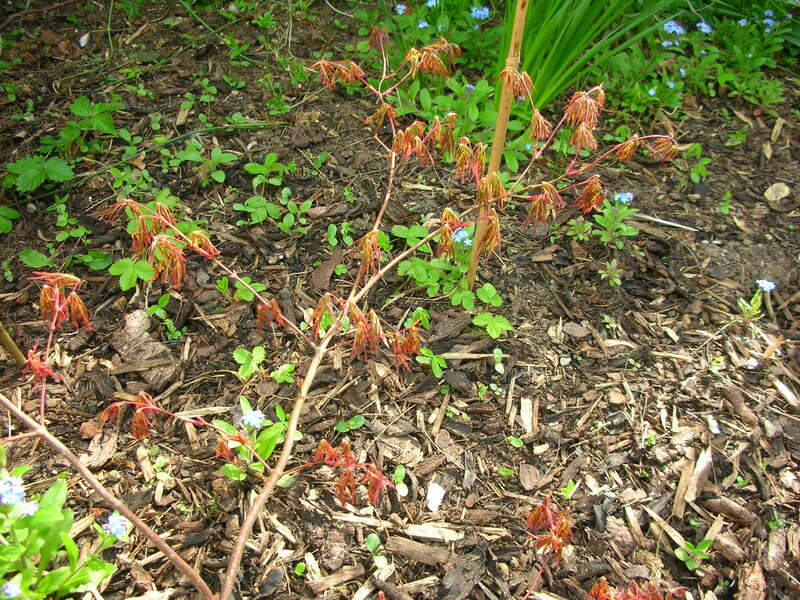 This entry was posted in Gardens and tagged bonsai, bonsai maples, frost damage, Japanese maples, matsukaze, seedling Japanese maples by hilarycustancegreen. Bookmark the permalink. I am very impressed with your Maple tree collection. They are beautiful. 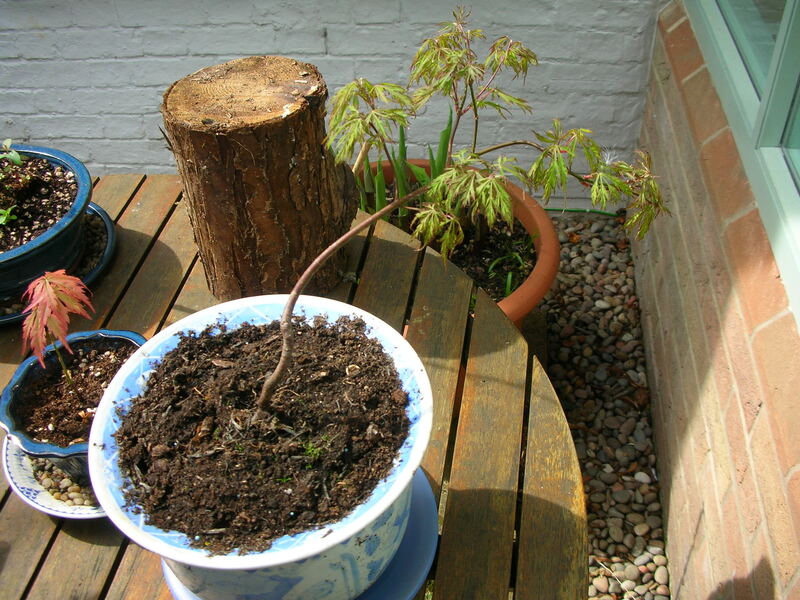 Using a cake pattern to adjust the young tree from pot to soil is brilliant, absolutely brilliant. How did you manage not to hurt the roots? 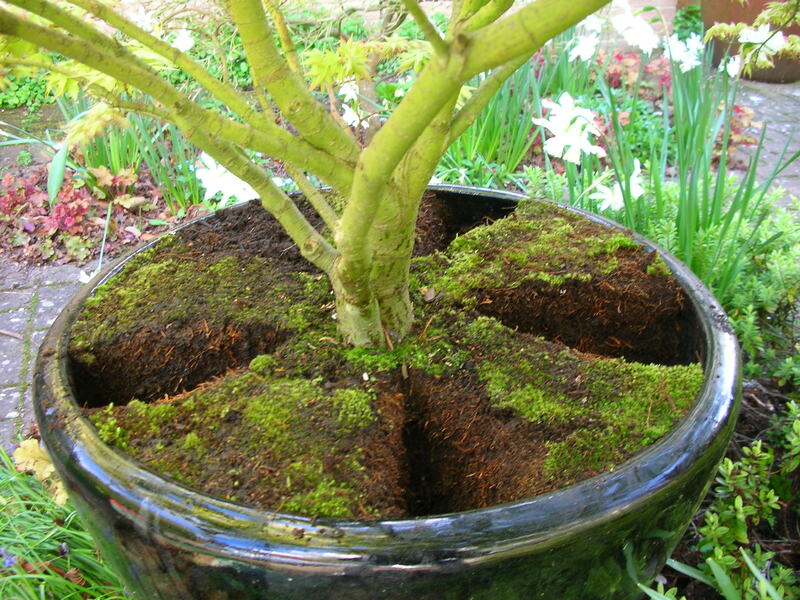 Once the roots become a solid mass of fibre in the pot, they dry out and water has trouble penetrating, the only way to help the plant is to carve out some of the old root-mass and give them new soil (or re-pot, which is better, but not always practicable). My method is homegrown and may not be the accepted way, it works on rhododendrons and if done in spring should result in fresh root growth, I hope! Maples are the only way for survival towards the future, Hilary. With us it is the occasional feast of pancakes. How disappointed we were reading on the maple syrup bottle it is maple ‘flavoured’ syrup. Another con in the small writing. One has to be so careful. We are getting close to frost and this morning was 3c. We have put our tropical plants outside close to the gas heater exhaust and hope the frost will concentrate itself on the hardier plants. Oddly enough, some of the daffodils are coming up already. It is such a confusing world. Yes, maples do help to balance the bad news (a little). Funnily enough, the lean-to greenhouse that we put up three years ago is very close to our boiler house with the gas exhaust, which must help… except that we turn the heating on as little as possible because of climate warming! I could have written so much about the weather. We have daffodils and roses blooming together, fledgeling birds by day and frosts by night. Sounds like your weather has been as weird as ours. But luckily it looks like spring is finally here to stay. Your trees are lovely! Thanks. I am taking all the frost covers off today as there is no more frost predicted… for the time being. Most trees are usually clever at knowing when it is safe to go into leaf, but they have definitely got it wrong this year. Two Robinias have lost all their spring growth (but they will try again). With the maples, what is damaged stays that way and they can die if it hits too much of the tree. Yes, a rather foolish labour of love. I should stick to plants that are totally happy with our climate… if only we knew what that would be. You have inspired me. Just bought a house with many established trees but nothing else. So I’m going to transform it. Oh, have a wonderful time. I love having a garden project (and have one in prospect for next winter). This is the only house we have lived in since we were married, but I can remember the excitement of our first year here as we waited to see what was growing. Enjoy! Excellent! 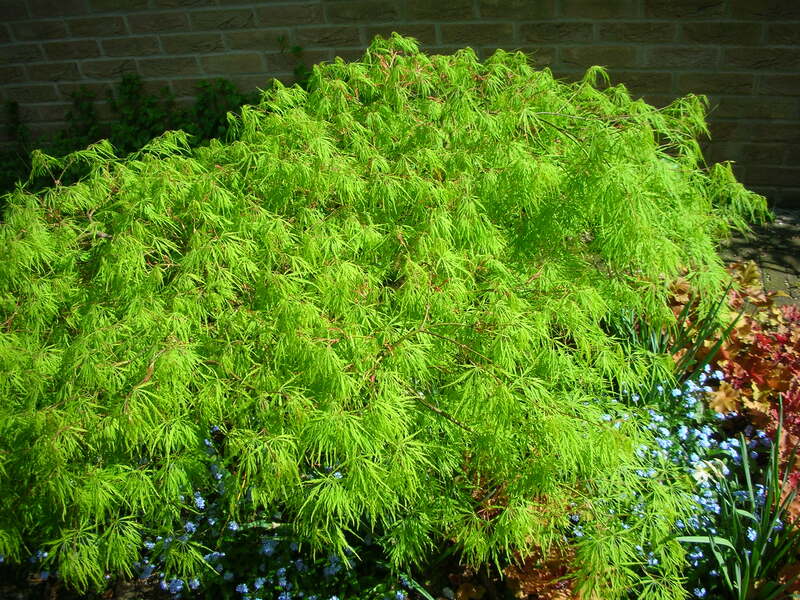 They are beautiful – and they have that silky look in Spring. I have never been able to grow any from seed, and I had a most unusual one that I never saw anywhere else. Congrats to you and your bonsai-planning husband. Happy to accept any compliments on behalf of my maples. Have you photos of your unusual one? 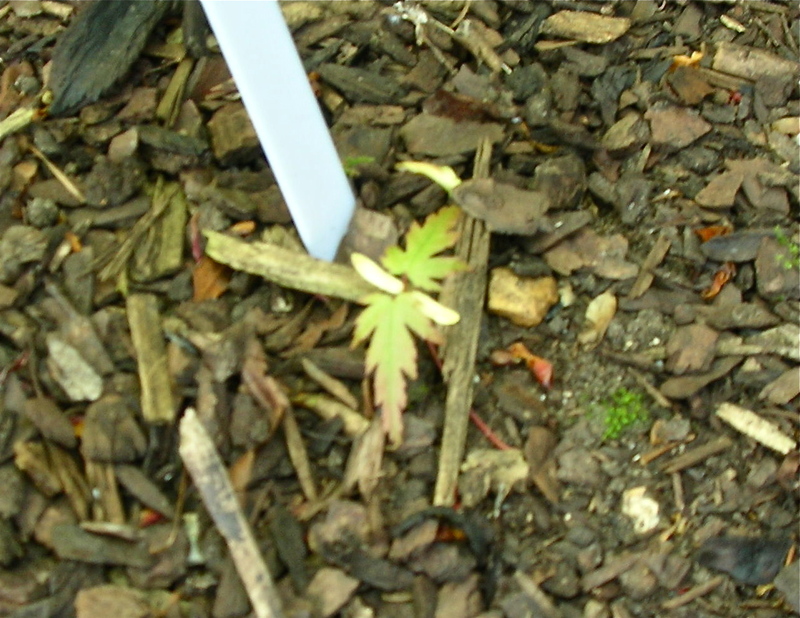 I have never intentionally grown the maples from seed. 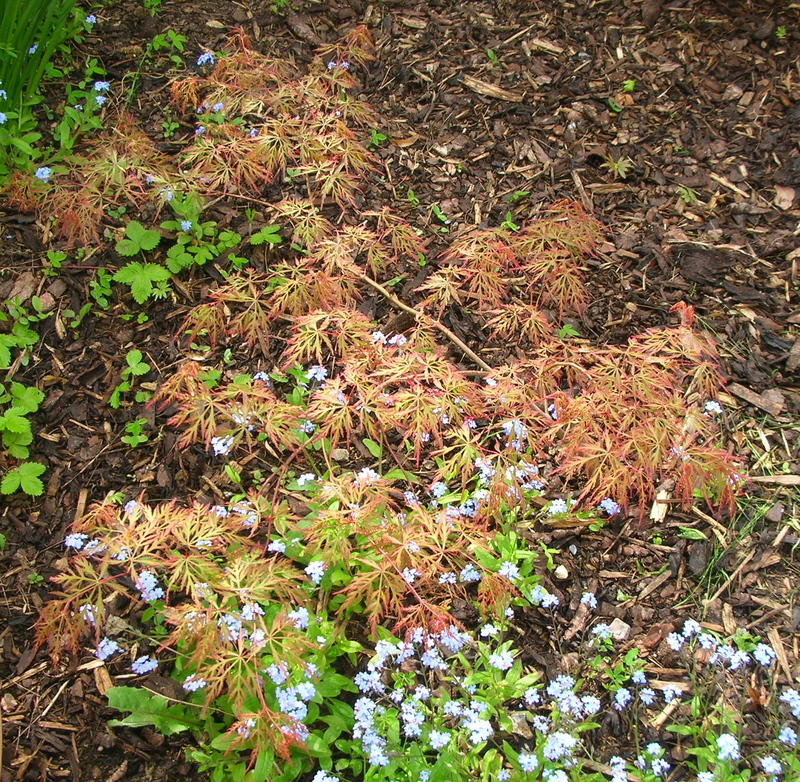 They just started appearing in this bed about six years ago one spring. Somehow the conditions there favour the setting of seed. I think they like the bark layer too. Now I look out for them and dig them up and pot them in winter. After that you need good luck, vigilance and a lot of patience. As I said to my husband the other day. We need to name to home grown ones, as they are our own breeding – now there’s a challenge! How fortunate! I even tried growing some seeds from the pod – no luck so far. You must have ideal conditions, indeed. 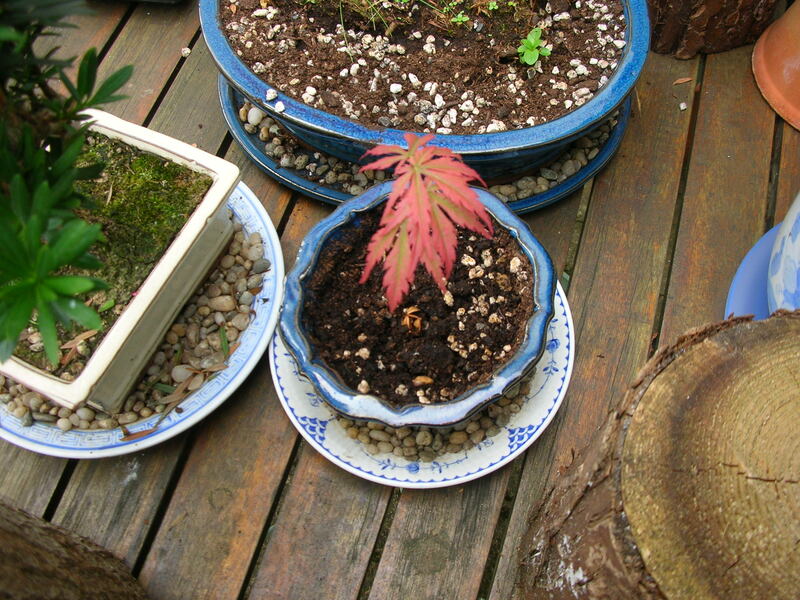 I’ve saved some seed from one of the other maples and I will give it a try, but I’m not expecting too much. I am just be happy with what nature gives me freely. You have been fostering maples with sweat and tears! Those images speak volumes about your passionate care. That is a fascinating name, ‘Matsukaze’. All we have ever grown into a bonsai was a Rajnigandha (Tuberosa) plant. It was a heartbreak to leave it behind when we were transferred to a different city. We were told it didn’t survive the parting either. Maples give back a great deal for my efforts. I have only just looked up the name, it is charming, thank you so much. The bonsai work is a new interest for my husband, as I am normally the gardener, I am so happy that he now has an interest that I can contribute to. 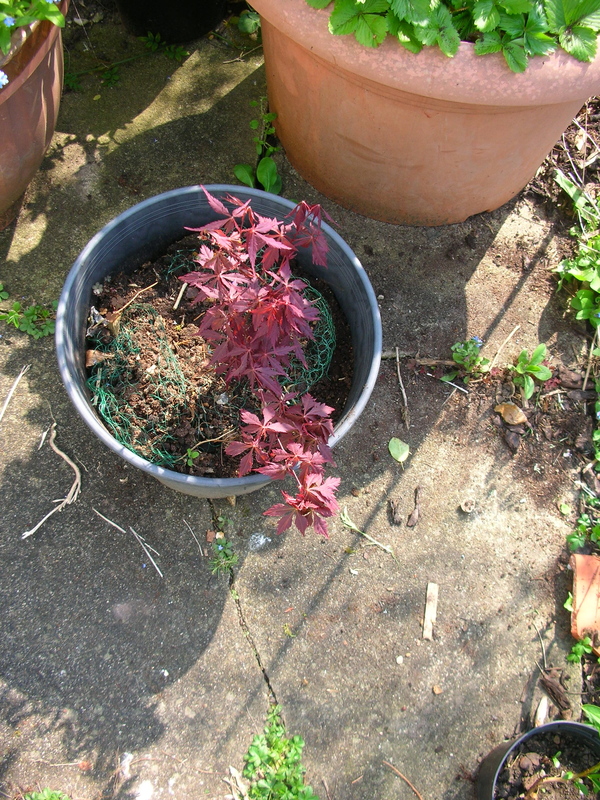 So sorry about the loss of your bonsai… but the wonderful thing about gardens is that things do come and go and renewal is constant, so I hope you plant another one. I have been in Europe the whole time. The weather is so strange, from heat to snow. Weirdly enough I was prepared, have learned, and brought clothes for both situations. Still it was markedly odd to have a month of heat and then freezing snow and wind in Germany. I saw violets covered with snow. 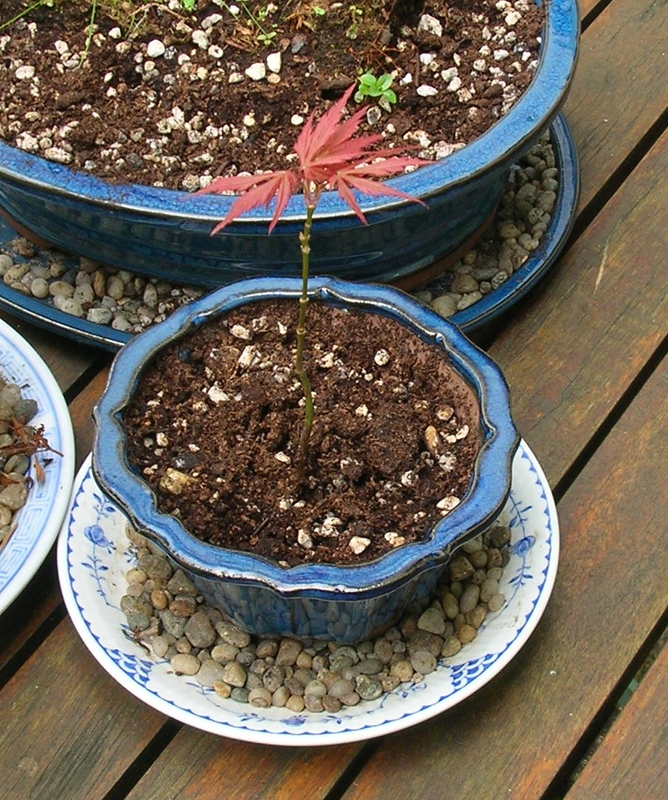 Your maples will survive because you love them. Yes, you really do understand how odd it has been. I have become a max-min thermometer watcher rather late in life. We have lost maples over the years, mostly because we had to learn what they did and did not tolerate. Gardens are wonderful because for every loss, something new turns up. Hilary, your maples look splendid. Maples really are my favourites, or some of my favourites at least. At this moment I might say that maples are my favourites too, but I am fickle and the tree peonies are coming into bloom and they are so sumptuous I want to eat them. I love your garden photos. Your UK weather sounds very much like our Missouri weather in the States. Thank you, Rochelle. One of the surprising joys of blogging is sharing the weather with friends on the other side of the world. I love maple leaves. No maples in Singapore weather. I imagine it is too hot there. 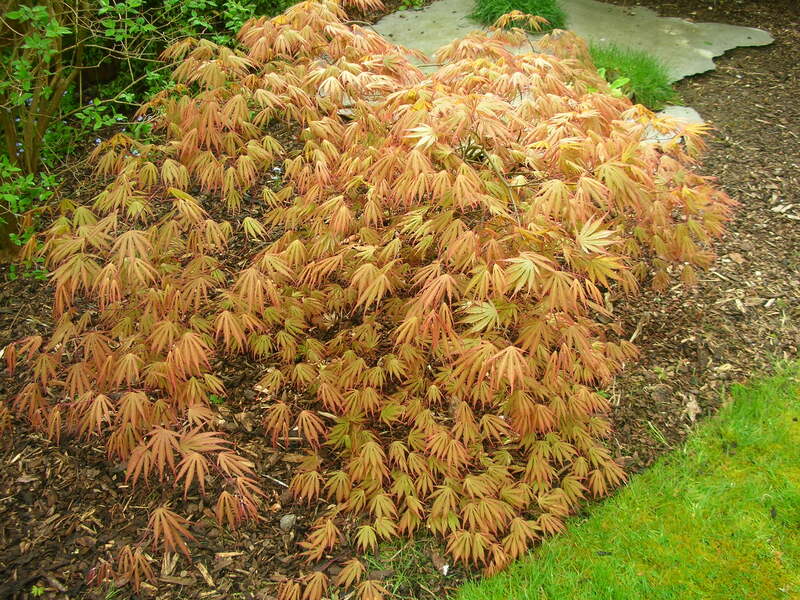 Sadly, the strange combination of hot and cold this year has been lethal here, with lots of shrubs really damaged and I fear our biggest Japanese maple is frosted beyond recall. Luckily gardens are renewable and I do have an very good supply of maples! They are difficult to beat. I like palm trees as distant shapes, but up close the maples win every time. You have a great work around these maple trees! A wonderful task, even if sometimes it doesn’t work out as wished. Thanks for your post. Thanks for dropping in and visiting these lovely trees. They certainly get on with life, with or without my intervention. How exciting! It is a game of patience as they mature into their final state over several years. 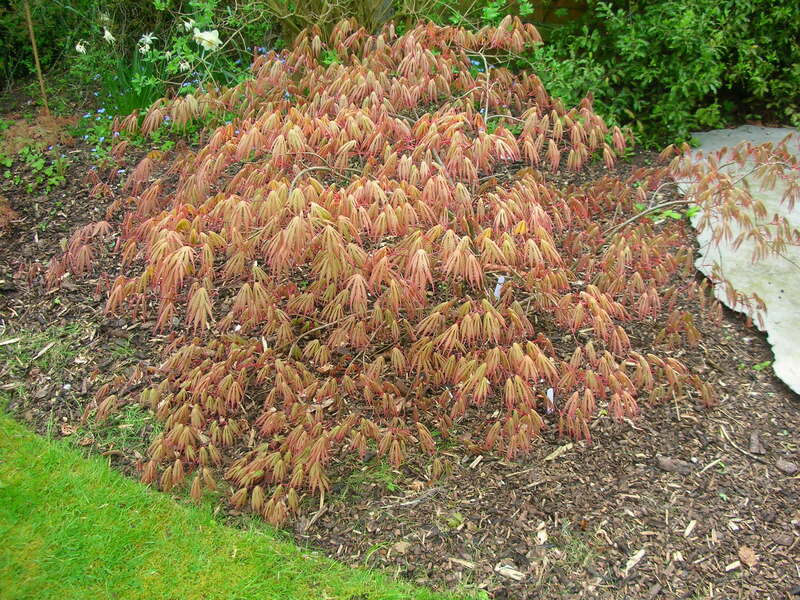 Even the quite ordinary-looking ones often have pleasing overall shapes and they all have autumn and spring glories. It’s because I show the prettier ones! 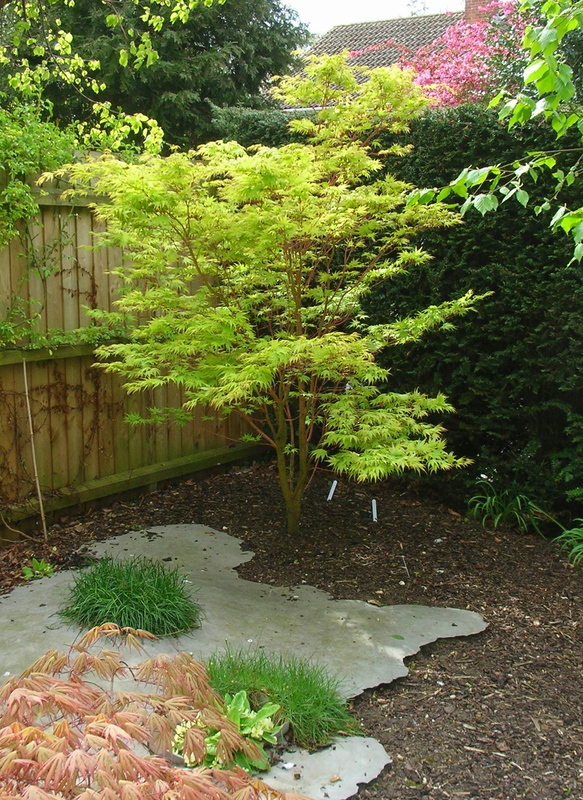 The only maple I prune is the bright green dissectum as it has paths on both sides. 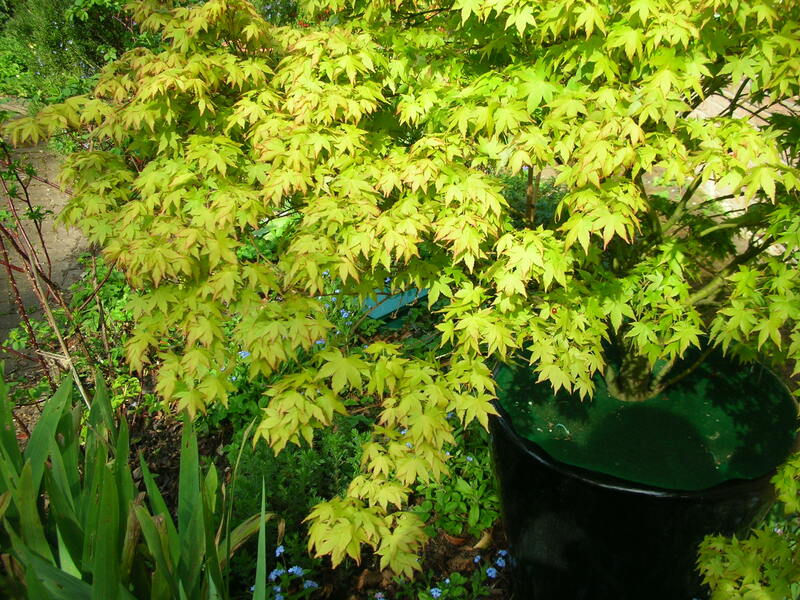 The smallest bonsai maple is a very dull green now. 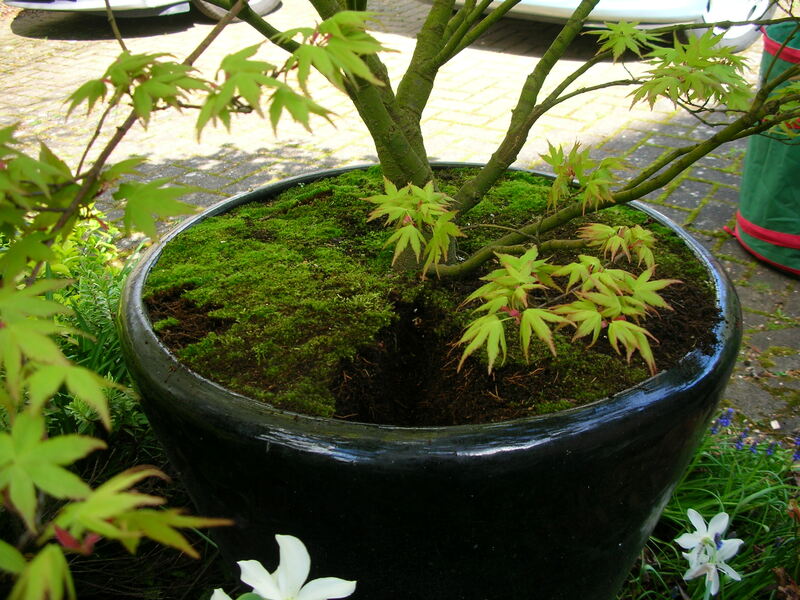 The lop-sided small-leaved dissectum bonsai is just serendipity. I was transplanting the seedling and the blue Japanese pot came to hand, and it suddenly looked as though it was meant to be! I find most maples grow gracious as they age, so the main design effort is patience. Thank you. They do wonders for tired spirit, don’t they. Would a large frame or small polytunnel help their survival rate during the early months of the year? I wrap the most vulnerable ones in fleece if there are frosts when the leaves are newly emerged… but you’ve only got to miss one frost warning in late April. I now have a small greenhouse and can put some of the ones in pots inside during this period. 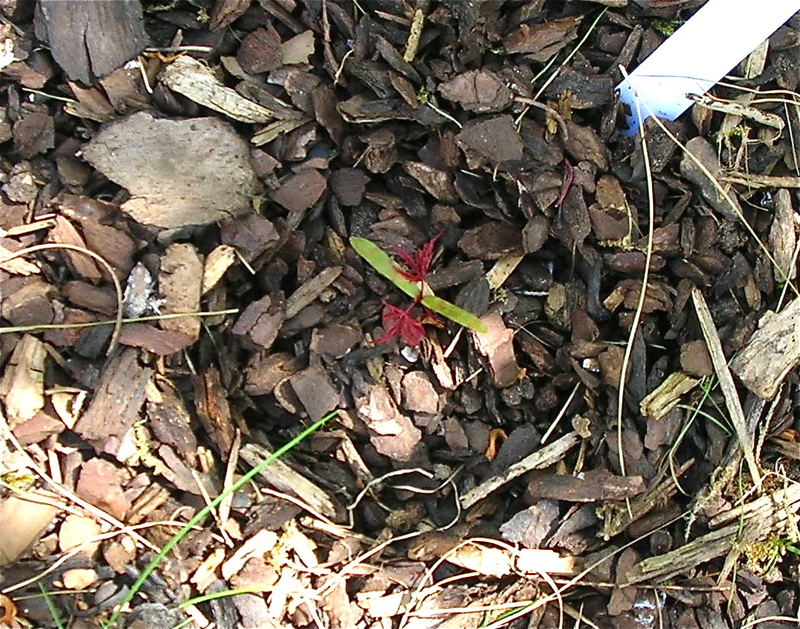 The seedlings have all appeared in a bed with a layer of small chipped pine bark – but I have no idea if that is the crucial factor. Maybe the chipped pine bark is protecting their roots and keeping them in place? Yes, I think it is also that touch acid, which they like.